Thank you for sharing such details! 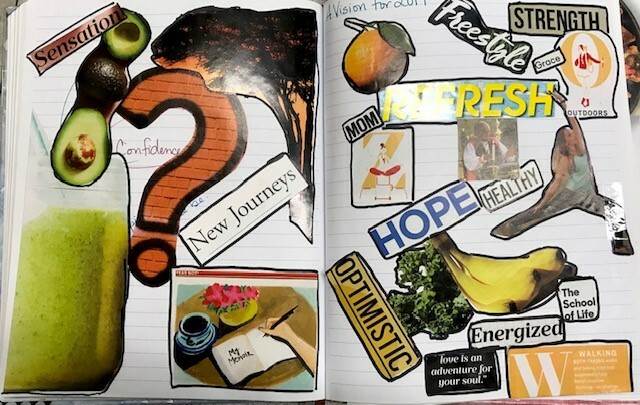 I love the pic of the vision board too! Thanks for sharing your ideas and Madison’s work, Margaret. I left a message for Madison and told her that I would love to share her work in a future winter gallery. Let me know what she thinks about that. Love your vision board. I’ve never attempted one either, but yours makes me want to try! Madison’s post was inspiring. Lucky you to have such students and lucky her to have such a teacher as you. My husband and I have a vision board in our closet, and I like seeing the things that we want to do and be in our lives. Thank you for sharing yours with us. I love this idea of a vision board. And I love my bullet blender. Need to work on the yoga though! I love your vision board. It’s on my to-do list. 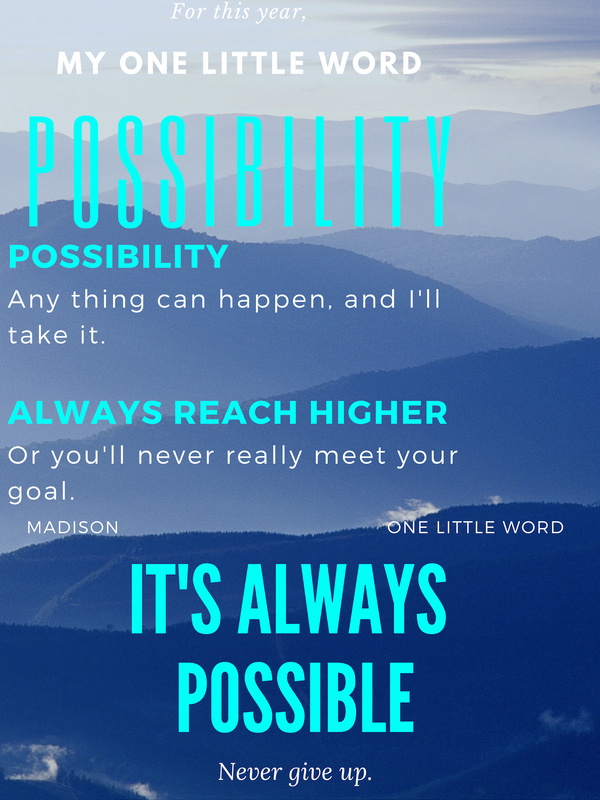 Love that word, possibility. Here’s to a great year.